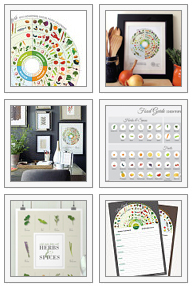 Buffalo’s SPoT Coffee Shopping Bag Design by Jessica Haas Gets Published! Almost a decade ago I applied for a job to be a graphic designer at Buffalo, New York’s own SPoT Coffee. How different my life may have been if I actually got the position; I may have never left my hometown. I did make it all the way to second place in the interview process but was beat out by the owner’s cousin (or something to that nature). 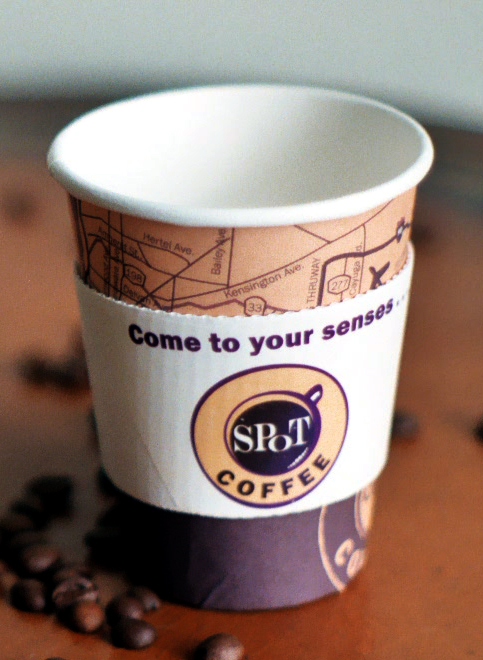 None the less, I still have a warm spot in my heart for the little coffee chain, which has done and grown so well in the years since then. I still believe the work I did for four, yes, 4 interviews, is still worthy of making my portfolio shine to this day. I definitely went beyond the requests of my interviewer and I’m glad I did. I think the love I had for the job and its company is very apparent. Today, I was awarded to be featured on French design blog Favourite-designs.com (above), posted as Favourite Désigner of the day on their Facebook page, and selected to be published in their annual design book. My twin sister, Amanda Roberts also helped in illustrating the “buffalo bean” and I owe a lot of the credit to her. Below are some of the other designs I created for the interviews. If you’d like to view more of Amanda’s work visit her portfolio website at AmandaRobertsCreative.com. She is currently looking for graphic design work in or around Syracuse, NY. My work was focused on capturing the Buffalo, NY soul that the company is very proud of. I’m a proud born and raised Bufffaloian and I love that SPoT coffee is too. I encourage you to visit Favourite-design.com and rate this design. This entry was posted in Graphic Design, Illustration, Jessica Haas Designs' Work, Opportunity, Promo and tagged amanda haas, amanda roberts, award, buffalo, buffalo bean, coffee, coffee design, cup, designs, favorite design, favourite, graphic design, interview, jessica haas, map, mug, New York, paper cup, poster, spot coffee, spot shakes. Bookmark the permalink. 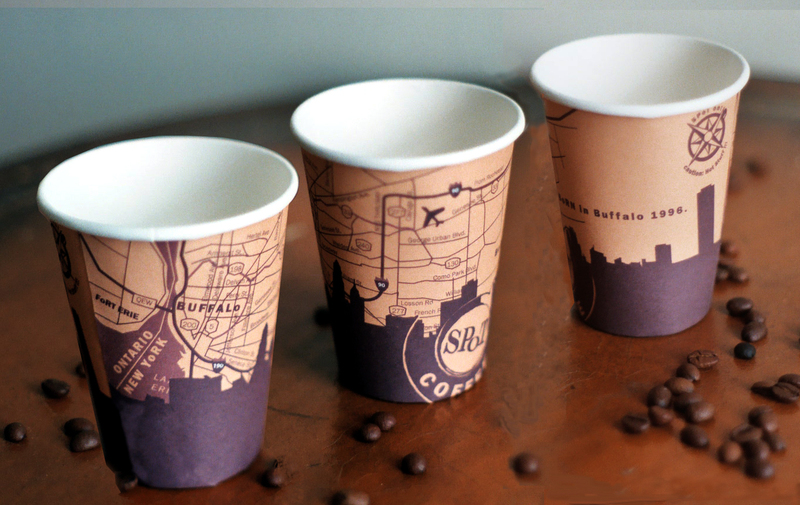 2 Responses to Buffalo’s SPoT Coffee Shopping Bag Design by Jessica Haas Gets Published! Voted for you. Hope you win!